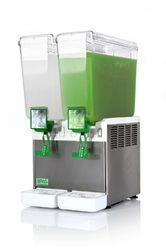 5, 8, 12 or 20 litre capacity, shockproof, food grade polycarbonate bowls. 12 lt for the Pump model, 18 lt for the Gravity model. 245 for the Pump model, 230 for the Gravity model; Note that production capacity depends on the mix used and the room temperature. * other voltages and cycles available upon request 191 Classic is produced by Carpigiani with Quality System UNI EN ISO 9001. All specifications mentioned must be considered approximate; Carpigiani reserves the right to modify, without notice, all parts deemed necessary. 2. Fan cooling blowing system. 3. High-quality hermetic compressor, low noise. 5. R134a coolant, Ozone friendly. 6. Natural marble base, luxury and strong, color can be customized. 9. Voltage can be customized: 220V/50HZ, 220V/60HZ, 110V/60HZ. 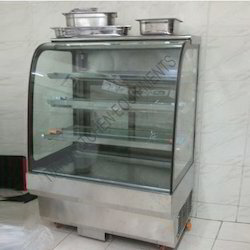 We offer a wide range of very high-quality Bain Marie Counter to our most trusted customers. 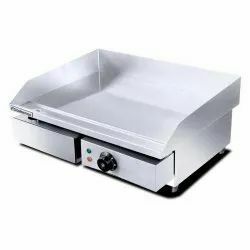 These products are manufactured from very high-quality stainless steel that finds applications in various party rentals and caterers services. These products are highly durable and long lasting due to high tensile strengths. These products are available at a very affordable market price. We believe in effective and timely delivery of product once ordered by our customers. 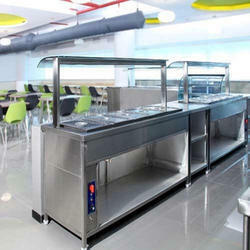 We are leading manufacturer and supplier of very quality Stainless Steel Counter to our customers.These products are available at a very affordable market price to our customers.These counters are manufactured using very high-quality steel that is sourced from very reliable vendors. These vendors are associated with us over a very long period of time. These products consist of stainless steel inner pipe frame and legs structure with nylon adjustable bullet feet. We offer a wide range of very high-quality Ambient Display Counter to our clients. 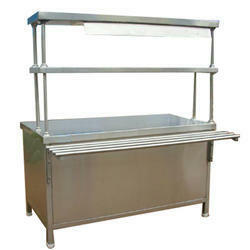 These are manufactured using very fine grade steel that is sourced from very reliable vendors. These products are ideal for display of both food and non-food items. These products have removable shelves, safe and easy to clean. These products are easily available at very cost effective market price to our customers. We believe in effective and timely delivery of product once ordered by our customers. 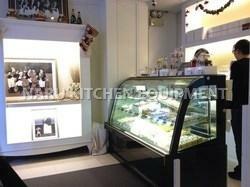 We offer a wide range of very high quality Cold Display Pastry Counter to our most trusted customers. These products are manufactured using very fine quality stainless steel and fiber that are sourced from very trusted vendors. 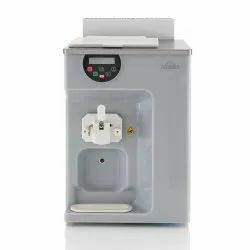 These products are offered with thermostat temperature control system with digital display controls. These products can be tailor made according to the requirements of our customer. These products are available in very cost effect market price. 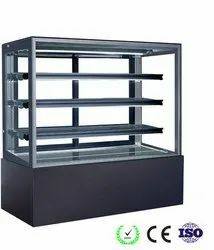 Looking for Cake Display Counter ?